The world's most generous donor tells The Daily Beast how to really help Haiti, which companies are setting a good example in the bonus era, government's role in meeting social needs, what works in public schools—and a revolutionary "scuba rice" that can help fight poverty. Q: “Scaling up” is a big challenge when it comes to social innovation, the theme of your letter. On the domestic school-reform front, for example, your foundation puts a big emphasis on charter schools, yet they currently educate only 2 percent of American schoolchildren. How realistic is it to transform massive systems like the public schools via these new programs? And as the charter sector grows, how will it maintain high quality, given research showing that even at its current small size, charter schools' quality varies greatly from city to city and state to state? We believe in a portfolio of options for public schools, and charters have been among the most successful of school approaches that we have supported. Charter-school networks such as KIPP and YES have achieved impressive results working with students who have historically been underserved by traditional public schools. Because of the freedom they have, charters can more easily innovate. But it is clear that what makes charter schools successful is not much different from what makes any other school successful: high standards and expectations, college-ready curriculum, and, above all else, effective teachers. Charters, like other schools, must focus on these key elements in order to provide the quality education that all students deserve. You’re obviously an expert on how innovative technologies can change societies and individual lives. What specific new technologies are you most excited about in terms of their potential to alleviate poverty? I have seen firsthand that agricultural science has enormous potential to increase the yields of small farmers and lift them out of hunger and poverty. For example, I recently visited a group of scientists in New Delhi who developed a variety of rice called Swarna-sub1 that can survive underwater for more than two weeks. This new “scuba rice” could revolutionize life for millions of farmers in flood-prone areas of the developing world. Another technology that is meeting with great success is a simple, low-cost treadle pump that enables farmers with limited water supplies to irrigate their crops, utilizing every drop of water effectively. Our grant to International Development Enterprises has allowed more than 100,000 farmers in India to benefit from this technology. Innovations that are guided by smallholder farmers, adapted to local circumstances, and sustainable for the economy and environment will be necessary to ensure food security in the future. But technology is only one part of the puzzle. Small farmers also need training and resources to grow these enhanced seeds, and access to stable markets that offer them a fair price for their crops. That’s why we invest in each of these areas with our grant-making, to fund improvements across the agricultural value chain. Some of President Obama’s priorities, like the Race to the Top education grant program and the Social Innovation Fund, are clearly modeled after projects the Gates Foundation has been involved in, and on the type of data-driven giving your foundation does. What do you think the balance should be between private philanthropy and government in terms of setting a social-issues agenda? Is there still a place for “big government” in meeting social needs, or is that idea passé in your view? Governments will always play a huge part in solving big problems. They set public policy and are uniquely able to provide the resources to make sure solutions reach everyone who needs them. They also fund basic research, which is a crucial component of the innovation that improves life for everyone. Businesses and nonprofits, including foundations, play important roles, too. The market drives businesses to solve a lot of problems—for example improving health care in the rich world. But markets don’t serve the poor in some important sectors, like health, because the poor can’t afford to pay. In those areas, foundations can help drive innovation and take risks that governments and businesses can’t. Once we find solutions that work for the poor, we look to governments and business to take on the large-scale delivery. After the Haiti earthquake, innovative practices such as text message donations raised tens of millions of dollars worldwide. But they also sparked a backlash, when people found out, for example, that the delivery of SMS donations could be delayed several months. What do you hope the public will learn about philanthropy out of events like this one? How do you sustain interest after the camera crews leave the crisis zone? The outpouring of support from millions of people in the immediate aftermath of the earthquake in Haiti has been impressive. The foundation is supporting two relief organizations on the ground in Haiti: Catholic Relief Services, which has a demonstrated ability to move fast and to partner effectively with government and local organizations in response to emergencies; and Partners in Health, with experienced medical volunteers, has organized private planes to bring medical supplies, tents, blankets, water, and other essential items to Haiti. At the World Economic Forum in Davos I know leaders from around the globe will be discussing how we can all support reconstruction efforts. As we focus on the urgent needs of the Haitian people, it is my hope that the millions of people who have donated large and small amounts will also continue to be invested beyond immediate aid efforts. In the months and years to come, we will all need to work together to ensure the people of Haiti have access to the water, sanitation, shelter, and medical services they need to rebuild their country. It is important for people to realize that disasters like the earthquake in Haiti only exacerbate an already desperate situation for billions of people in developing nations. Before this tragedy, more than half the people of Haiti lived on less than $1 day and 78 percent on less than $2 a day. Worldwide more than 1 billion people live on less than $1 a day. While we can’t stop an earthquake from happening, we can make investments now that will help move people from poverty to self-sufficiency. Haiti should remind us all that there is an immediate need to invest in and promote long-term development projects that are sustainable, scalable, and proven to work. We’re seeing coverage of the devastation in Haiti alongside coverage of record CEO bonuses, and new corporate charitable initiatives like those of Goldman Sachs. There’s a lot of cynicism. As someone who came to the social sector from the private sector, what do you think the attributes of a responsible corporation or executive should be in 2010? Although I don’t have a prescription for what others should do, I know I have been very fortunate and feel a responsibility to give back to society in a very significant way. It’s fun and quite rewarding. I also think that businesses have an important role to play in solving big problems. It’s great to see companies devoting a small part of their top people’s time to solving those problems. For instance, some pharmaceutical companies have been very generous in having some of their best researchers work on drugs for diseases that mainly affect the developing world. That’s a great example, and I hope more companies follow it. 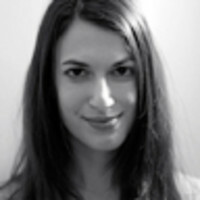 Dana Goldstein is an associate editor and writer at The Daily Beast. Her work on politics, women’s issues, and education has appeared in The American Prospect, Slate, BusinessWeek, The New Republic, and The Nation.